Its very clear if you are reading this, there are high chances you are thinking of starting your own online business. Marketplaces like Flipkart, Amazon, and Snapdeal are giving huge opportunities to young students, housewives, and small shop owners to scale their businesses and earn good money. However, there are various factors which need to be looked at before starting an online business. The details product listing make a lot of difference while you sell online if your products are one among many, there are very high chances of loosing sales to your competitions. However, by listing something unique products not only your sales increases but also your visibility and ratings will go up. Running an eCommerce store? Are you a Seller on Various Online Marketplaces? There are lots of challenges alongside the potential rewards, and many owners can struggle to contend with storage, shipping, and supply issues. 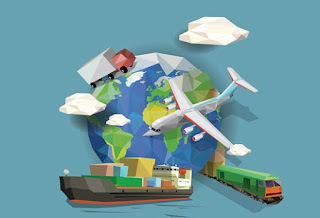 In order to operate a successful e-commerce company, you not only need a user-friendly website and a good online marketing strategy, but also the necessary logistics services to operate the business. Let us look at something which people think is harder than it actually is. Buying stuff from overseas (and either re-selling them in India or just keeping them for yourself). Me: How do I import from overseas? I mean how do I take advantage of theecommerce revolution in India to sell to more than 1 billion of my countrymen? Imagine, selling just a product for just $1 to a billion people would make me a billionaire! ‘Helpful’ Friend: Arey bhai, who sab nahin hota hai. Woh sab bade log ka kaam hai. Contact chahiye. Hai kya tere paas? Customs patha hai? Me: No, but cross border ecommerce in India is really picking up in India. What if something in China can sell really well in India or if I want to import from China to India for myself? Is there a courier or website to send parcels from USA to India or to buy on Amazon in America and ship to India? 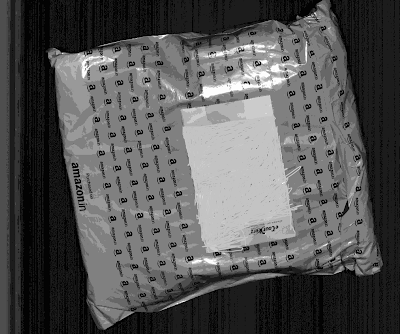 Correct way of Packaging will save your shipping cost by 100%. eCommerce sellers needs to Monitor DIM, Oversize Charges. Shipping companies charge on Actual Weight or Volume weight whichever is higher. It is imperative for any e-commerce sellers to adjust your carton sizes / Pouches to avoid dimensional weight (DIM) and oversize surcharges. FedEx, Aramex, Delhivery, DOTZOT, eCom Express and UPS all have weight minimums and oversize penalties, which are referred to as DIM charges. These extra fees are calculated on the relationship between package weight and package size. Once if you understand how these billing rules work, you will be able to adjust the length, width or height of your parcels to eliminate the extra costs. There are two ways to take advantage of cross border ecommerce. The first is to sell overseas from India. The second is to import products to India from overseas and sell them in India. In part 1 of this blog post we will focus on selling overseas. Why Export? Broadly, there are two very simple ways to sell overseas (which is the same as exporting). Typically, this is encouraged by any government as this is a valuable source of foreign exchange. This is possibly what happens the more you export. Secondly, now (2017) is a very good time to export. "This is because it takes nearly 70 of the item on the left to buy 1 of the item on the right. Also the item on the left doesn’t exist anymore." Your products from India will be much cheaper to overseas buyers and hence you can export more. With recent rapid advancement in Logistics and Digital solutions, commerce and in particular e-commerce is pacing its way into traditional and mainstream retail. With various research report supporting the claim, we believe target audience of online shoppers will be over 2 billion by 2020. This 20 % of global population will contribute to the minimum of 12-15 % of total retail sales through online transactions and this % is definitely going to be a surge in near future. E-commerce is defining, setting & dictating new trends for Logistics Industry. GST & its impact to ecommerce Sellers. If we notice today, eCommerce sellers in India bombarded with a lot of taxes, Tax Forms including VAT, CST, Excise, Service Tax, and TDS, with multiple taxes applicable on any given transaction. This has lead to a lot of complexities in logistics and reverse logistics. To add to it and make it more worse, statutory forms and e-way bills & manual way bill in states like UP / Jharkhand, Bihar, and NE states. For e.g, if we want to send a parcel to UP, the Consignee has to Visit Local Commercial Tax Office and get it sign and Stamped and send in original to Shipper for shipping a parcel, these procedures add complexity to interstate transactions. Besides Sellers must also comply with local state tax registration requirements and declare their turnover to tax departments of multiple states. Under the upcoming GST law, India would be a unified common market with reduced compliance costs, and e-commerce business will notice major changes.